The National Chairman of the Peoples Democratic Party, Uche Secondus, has described as “insensitive” President Muhammadu Buhari’s “reluctance” to visit Benue State. He said the President should visit Benue State to commiserate with the people and the Catholic Church, which lost two priests and 17 other worshippers “in a senseless killing” by herdsmen. He said the President should have visited Benue first before embarking on his ongoing two-day visit to Bauchi State. Secondus said that while the nation and the Christian community, globally, mourn the “brutal murder” of the two priests, the President decided to “jump into an aircraft to Bauchi State” on a two-day visit without going to the venue of the murder in Benue State to commiserate and see things for himself, being the Commander-in-Chief. 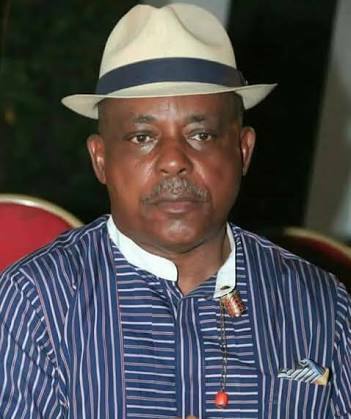 Secondus said that the action left everyone to wonder at the alleged lack of emotion on the part of the President concerning the plight of the citizens. The PDP boss said in a statement signed by his Media Adviser, Mr. Ike Abonyi in Abuja on Thursday, that what the President was doing was “a clear show of arrogance and lack of empathy;” wondering why the needless bloodletting in Benue State should not attract his (Buhari’s) feelings. He said, “There is no time a people need show of empathy and concern more than when they are in mourning mood, as is the case with the people of Benue state.